Today marked a big loss for Urdu literature as Bano Qudsia, an intellectual giant and writer, passed away on February 4, 2017, at the age of 88. I fell in love with her when I read her classic Raja Gidh, when I was myself studying in Lahore in 2005. 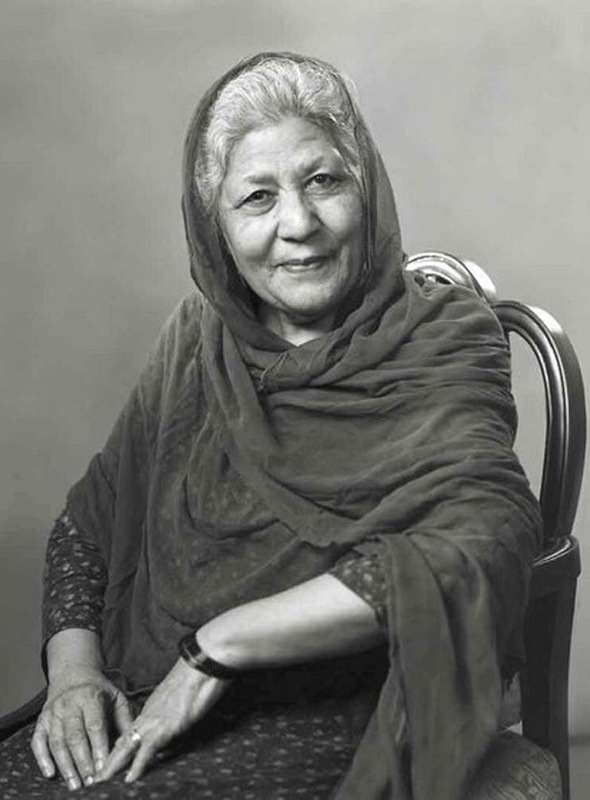 Bano Qudsia was a writer and spiritualist. She lives on through her writings in the form on novels, short stories and plays. Bano Qudsia got married to the legendary Ashfaq Ahmed after they met and studied together at Government College Lahore doing their Masters in Urdu. Their marriage fascinated me with the love and mutual respect they always gave each other. As they grew old together, Naeem Bukhari asked them in a TV interview what drew them to each other when they first met. Bano Qudsia admitted in a refreshing honest way that she fell for the charming looks of Ashfaq Ahmed, such was the simplicity and strength of character. A clearly still-smitten Ashfaq Ahmed explained in detail how he admired Bano Qudsia’s intelligence and qualities and wanted to spend the rest of his life with her. Complete interview here. We grew up watching various dramas and short plays of Bano Qudsia on PTV and it was only later as I grew older I realized the intellectual meaning behind them. Bano Qudsia’s writing reflected her spiritual thinking. As I have grown older, I have gone back to many of her books to re-read passages that hit home at certain points in my life. Today as I absorbed the news of her death, I missed the huge book shelf at my parents’ home where I could reach out and pick Bano Qudsia’s books to read and reflect upon. Her insight into human nature was uncanny. Her words were soft but the message hard hitting. Like many, my first Bano Qudsia novel was Raja Gidh. I was shocked at first to read such a liberal piece of writing by a Pakistani author, penned in Zia ul haq’s strictly religious Pakistan. The spiritual lessons from that book have stayed with me for years. I must admit I visited Lahore’s Bagh e Jinnah especially after reading the book as my curiosity was stoked. Today as I think of Bano Qudsia, there is a sense of loss, but also a resolution to read and watch more of her work. What is your favourite line, play, short story or novel by her? Previous Post Benefits of Being Multilingual : Why teach Urdu or another language?